These project photos were sent to us from Alpha Interiors. 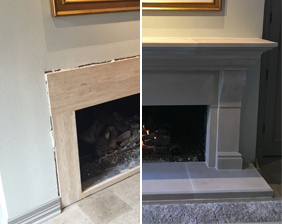 They helped their clients upgrade their home with our Oxford cast stone mantel surround. 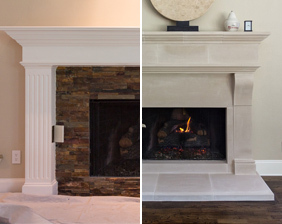 The bold lines of the Oxford mantel are perfectly accentuated by the curved niche above.